The first four days have seen our dwellings beside the water, either the Thames or the Regents Canal. 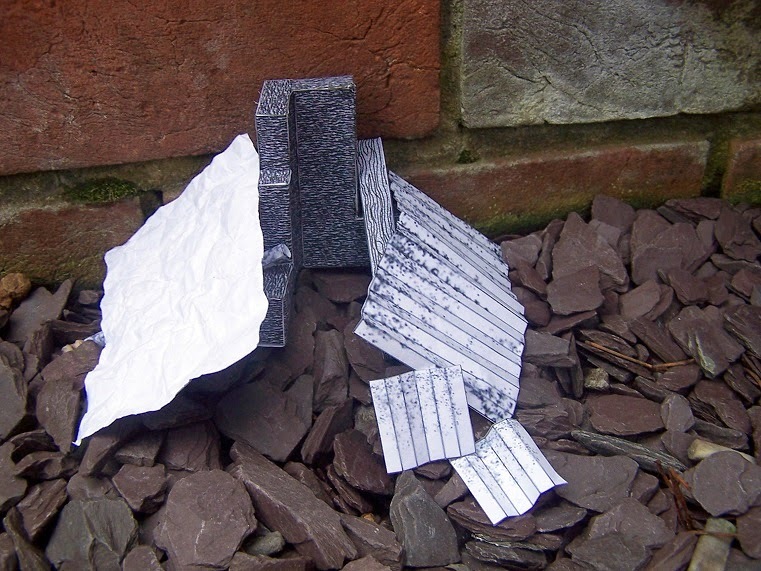 Today we're heading inland to find a place for Dean Reddick's miniature hideaways. 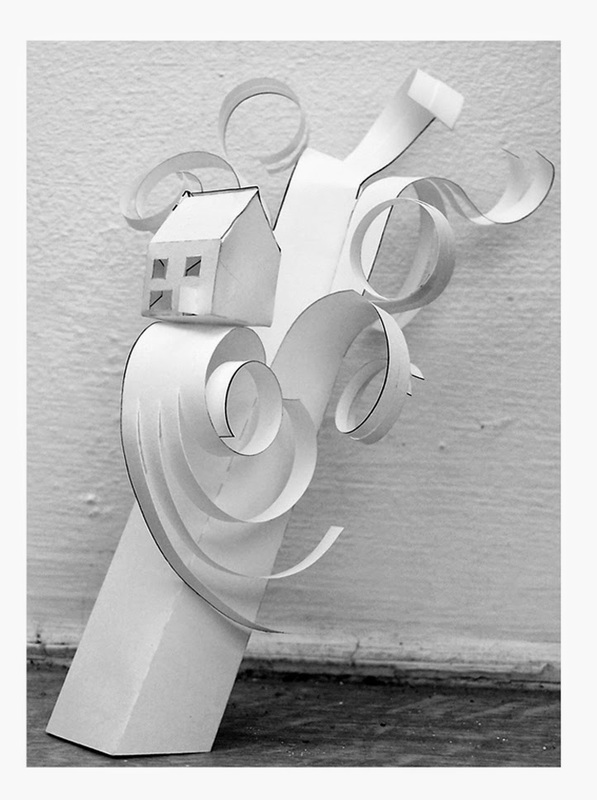 Dean is the driving force behind the Dwell project and is also a well respected artist and art therapist. Until recently he was an Associate Lecturer at Goldsmith's College where he helped organise the 'Defining Art Therapy for the 21st Century' Conference in 2013. The event tag line was 'Finding a voice, making a mark' and it this ethos that runs through his personal practice and his projects for CollectConnect. 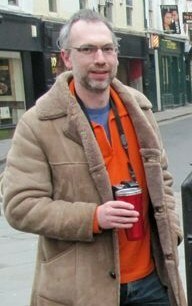 Dean Reddick has been exhibiting with us for many years and with myself for even longer. His name is carved into Walthamstow folklore (where he works and lives with his family) because of his legendary Hidebird exhibition. 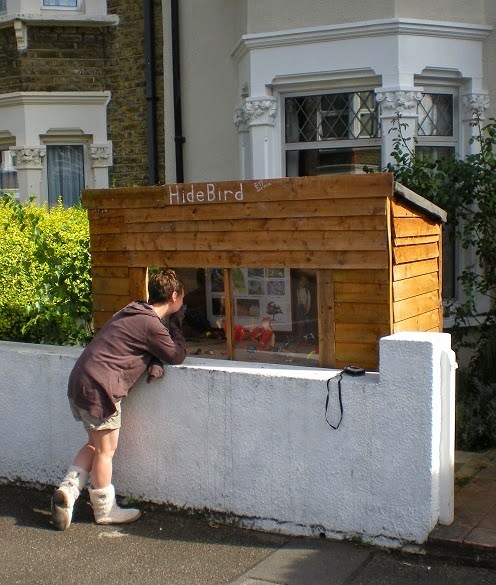 Nearly every year he erects a bird hide in his front garden. The hide is inhabited by artist's bird sculptures and we as spotters and twitchers are relegated to the outside space. This is typical of Dean's work, his sense of place in the community and his playful attitude for Nature and Art. There are two Dean Reddick dwells in the book, Shelter One and Treehouse. Today we find the latter in a real tree, not just a paper one, near Euston Station. One of the reoccurring themes of the dwell project has been not just the physical space for dwelling but that for the mind to inhabit, a place to dream. 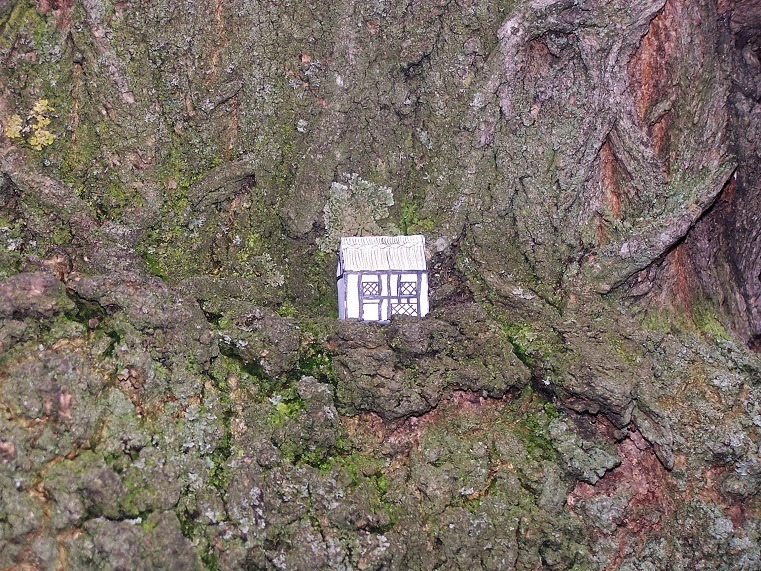 Treehouse is another of these, it harks back to our childhoods and the treasured memories we still nurture inside us. For who could refuse the chance to build a treehouse once again, to escape and play in the skies. Despite a brief sojourn in Coventry to complete his Art degree Dean Reddick is a Londoner and has lived here all his life. He supports Arsenal and is proud of the capital's culture and history. This exhibition is very close to his heart. His second constructed net is located outside the British Library, Euston Road and is called Shelter. Dean explains a little more about the project and why shelter might be relevant at this moment in society. "Dwelling seems to me to be a fundamental state for people animals and plants. There is the concrete dwelling, a place such as a home, a nest, a den. There is the idea of dwelling on something, to think and mull over, which suggests that the mind is a place where thoughts and ideas can rest, at least for a while. For me, the idea of dwelling implies a private space or state of mind even though a dwelling might be shared. 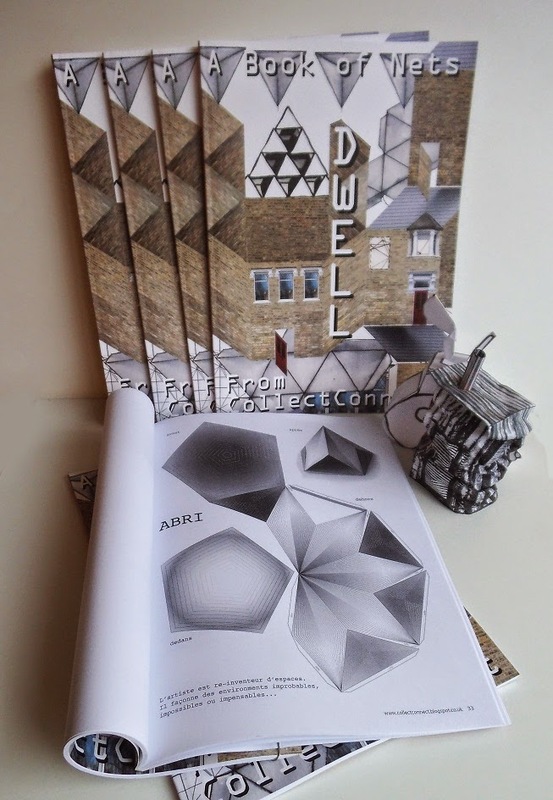 Finally I hope that Dwell also makes us aware of the social economic and political aspects of dwelling; dispossession, homelessness, war, asylum and refugees, habitat destruction and the emotional states where we cannot dwell but must endlessly move so that we become strangers in our own bodies." Its wonderful to see Shelter One beside our national library for it is here that all CollectConnect books are preserved for future generations as well as The Bodleian Library, Cambridge University Library, the National Library of Scotland, the National Library of Wales and the Library of Trinity College, Dublin.